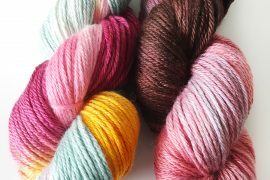 I recently had the opportunity to work with Laughing Hens to test a few of their yarns for review. This UK company offers high quality yarns from a variety of different brands. They have an interesting crochet-friendly background and I found them very easy to work with. This yarn company is now run by a father-and-son team, which in itself is interesting for a yarn company. Before they took over, the company was originally founded by knit and crochet designer Nicki Trench. She was running a crafting group and wanted to source high quality natural fibers, a plan that resulted in creating her own company to offer these yarns to others. Nicki is a terrific crochet designer (and the author of books like Cute & Easy Crochet and the 2017 title Learn to Crochet: 25 quick and easy crochet projects to get you started . As both a knitter and crocheter, she was able to source yarns that work well for both crafts and this crochet-friendly tradition continues at Laughing Hens. In addition to yarn, Laughing Hens is a source for knitting and crochet patterns and other accessories. You can find patterns as individual patterns and leaflets and can also purchase magazines and books from the site (including a couple of Nicki’s books). They also sell needles and hooks as well as additional items such as row counters. The website is easy to navigate with lots of great filters to make it simple to find what you’re looking for. 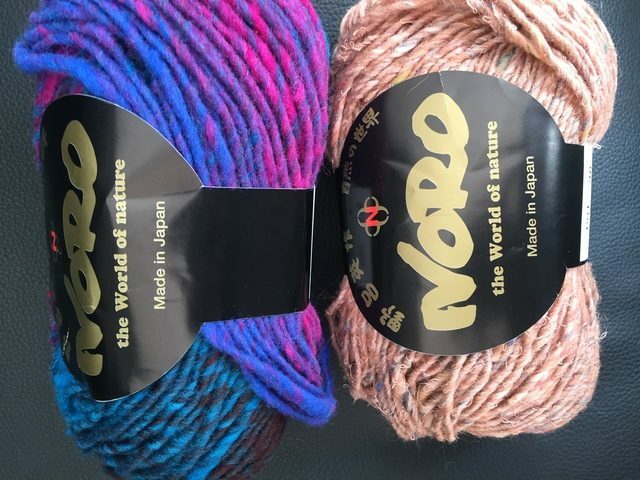 I received two different Noro yarns to test: Kureyon (on the left above) and Silk Garden Solo (on the right). Kureyon is a 100% merino wool aran weight yarn that comes in boldself-striping colors. There are about 18 colorways available. The balls are over 100 yards each. This is a great yarn for small one-skein projects. It is plush and cozy and perfect for cowls and other comfy warm items. 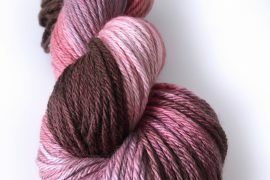 Silk Garden Solo is a blend of 45% Silk, 45% Mohair, 10% Lambs Wool. It is considered aran weight although due to the fiber choice seems a bit thinner / lighter than the Kureyon. It is softer as well, although not as smoothly soft as I might have expended for a silk/ mohair blend. (This isn’t to say that it’s not soft and cozy; it’s a great yarn, just don’t expect a really silky smooth feeling from it.) It also comes in 100+ yard balls. 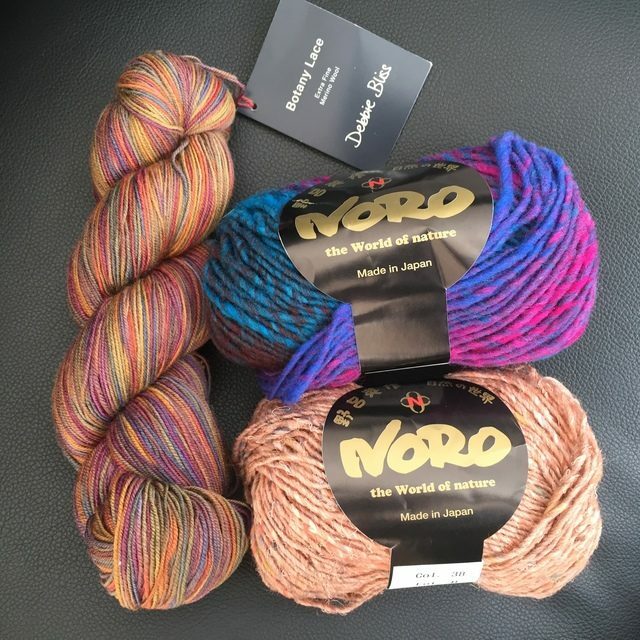 These are just two of many Noro yarns offered from Laughing Hens. It’s a great yarn brand and a terrific choice if you’re new to high quality fiber. 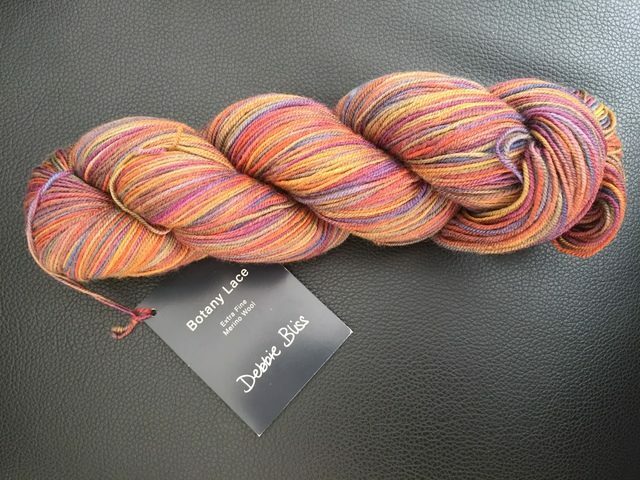 I also received a beautiful skein of Debbie Bliss Botany Lace. This is another great brand name of yarn; I always like every Debbie Bliss yarn that I try. This one is particularly lovely. It’s an extra fine merino wool that comes in beautifully blended variegated colorways. There are about 20 colors to choose from. 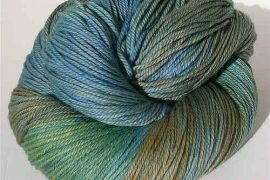 This is a sport weight yarn that comes with a generous 450 yards per skein. Although this yarn is 100% wool, it has a little bit of surprising stretch to it that makes it a true pleasure to work with. This is one of my favorite yarns that I’ve tried in awhile! 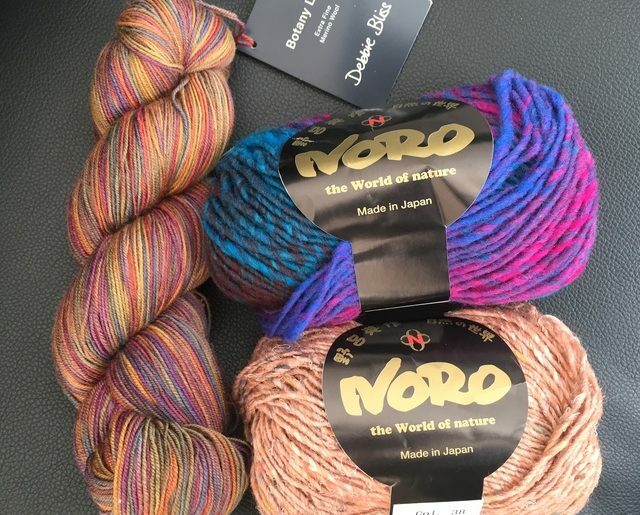 Laughing Hens has a variety of other name brand yarns available including some luxury favorites like Manos del Uruguay, Fyberspates and Bergere de France. They have Rooster yarns including some that blend alpaca with merino wool. And they offer undyed yarns in various weights for people who want to do their own dyeing. There is a lot to choose from here and it’s worth checking it out if you’re always on the hunt for great new yarns!